Spanish authorities say that among the 10-12,000 weapons seized earlier this week are some capable of bringing down aircraft. The haul comprised illegally reactivated decommissioned weapons, which have been used by terrorists in Europe. 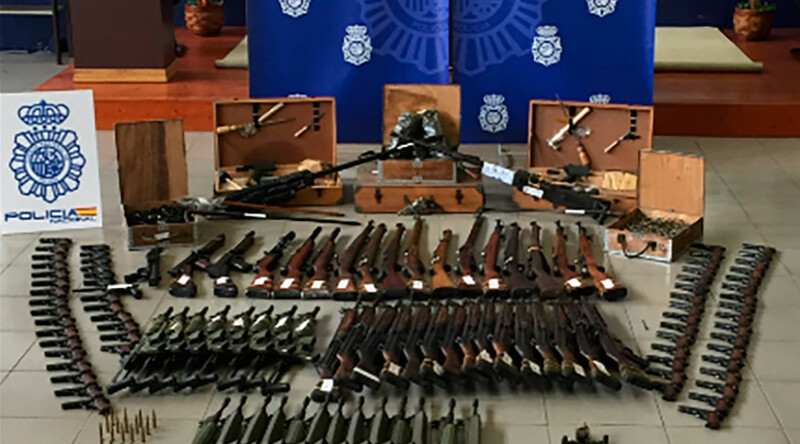 Police arrested four men and woman – all Spanish nationals – who had been operating a sophisticated trafficking network in several provinces across the country under the front of a historical weapons workshop that bought supposedly decorative firearms. The purchased weapons were then restored and sold on the black market throughout Europe. Among the weapons seized were vintage Smith & Wesson revolvers, CETME, Bergmann, and Beretta rifles, and even heavier anti-aircraft machine guns, with the total value of the haul estimated at approximately €10 million on the black market. The gang members, who were arrested in Cantabria, Girona, and Vizcaya, ran what the police called a "sophisticated and fully-equipped" underground repair workshop, where officers found thousands of spare parts used in gun repair, as well as stamps and certificates for creating fake documentation for the firearms. About €80,000 in cash was also discovered. According to a statement released by Spain’s Ministry of the Interior, three of the suspects have been detained without bail, while two others have had travel restrictions imposed upon them until court proceedings begin. Reports in the Spanish media report that the suspected arms traffickers had registered their company as a sports equipment seller in Getxo, a small town outside the Basque city of Bilbao, but had not obtained a license to trade in firearms so as to avoid attracting attention. The gang then bid on decommissioned weapons sold by the army and disabled guns sold off by the police. The owners also ordered firearm parts from internet sites, which is not in itself a violation of the law. Reverse-engineered vintage weapons bought in Slovakia were used in the attacks on the Charlie Hebdo magazine and a Paris grocery store in January of 2015, in which 12 people died. EU officials have since sounded the alarm over the availability of decommissioned weapons and the ease with which they can be made operational. 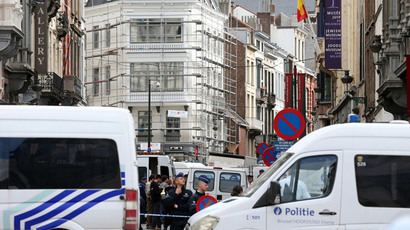 The investigation that led to Thursday’s arrests was launched as a response to an attack on a Brussels Jewish Centre in May of 2014, when a French national of Algerian origin opened fire inside the cultural museum, killing four people. There do not appear to be any direct links between that perpetrator and the Spanish gang, however.